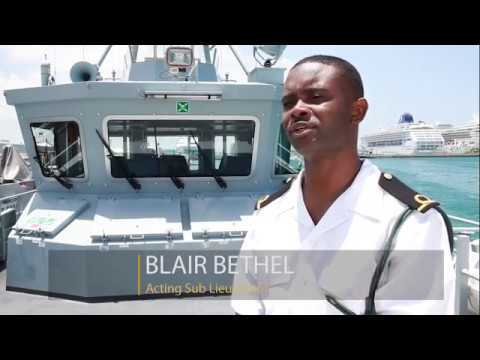 As the acting Sub Lieutenant, and deck and supply officer for the Royal Bahamas Defence Force, Blair contributes to a safer Bahamas by deterring illegal drugs and weapons from entering the country’s borders. In June 2016 Romeo earned the distinction of being a member of the historic first Commencement Class and graduated with an Associate of Science Degree in Agriculture. Since 1993, Kent Johnson has been a member of the internationally recognized musical group Christian Massive. Today, he is putting his music aside to help his community combat violence. In May 2012, Ernica accomplished a dream that her parents had for themselves, but never got an opportunity to fulfil. She became the first in her family to earn a college education, and what more, come June 2017 she intends to become a Master’s degree holder. Nikki contributes to a prosperous Bahamas as a Bahamian artisan. As an agricultural economist and lecturer at tBAMSI, Leslie Minns believes there is far more to agriculture than just farming. The young men of Anatol Rodgers High School are contributing towards the development of a modern Bahamas through focus and discipline gained through basketball. Meet Emelike Fountain who understands that putting others first is the secret to running a successful business. Sales and Marketing Manager for Fun Foods Wholesale is Amanraah Ford who knows that Bahamians have unique tastes. especially with ice cream! Jessica Fox Wilson left her stable office job to become an entrepreneur and open her own cake business. 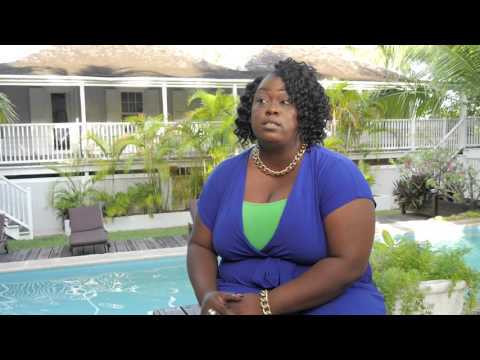 Tara Diane, owner of Star Events and Promotions, is a creative visionary using her talents to give back to Abaco and contributing to a modern Bahamas. Dr. Ash has found her purpose – doing the Lord’s work providing the gift of sight and contributing to a modern and prosperous Bahamas. Anthony is one of the most cheerful phone card sellers in Nassau; helping Bahamians connect with one another. As she watches the tide roll in, Chevonya Major reflects on Hurricane Matthew and the long road to recovery. Rather than focusing on her losses, she looks to the future with hope and gratitude for the life she has ahead. “My first thought after the storm was how fast and how soon I was going to be able to go help these people.” Linda Barrie Cooper called on neighbours to rise, and establish a soup and sandwich ministry to put warm food in the bellies of people who had nothing. Standing on the coast line of southern New Providence, Patricia Francis is gathered with an assessment team to provide additional support to residents impacted by Hurricane Matthew. In her role as Deputy Permanent Secretary with the Urban Renewal Commission, Patricia is all too aware and eager to be an integral part of this important work. 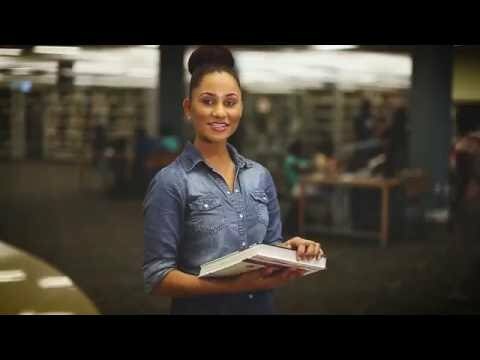 Stories of Courage is a series of stories that profiles people or organizations that did extraordinary things during and after Hurricane Matthew. Samaritan’s Purse International Relief (SPIR) sent an airlift with 20 tons of water filters, heavy-duty plastic sheeting, hygiene kits, and blankets to The Bahamas. Building a stronger and more connected Bahamas is quite literally what Tyrone Pinder is doing. Tyrone has been with All Bahamas Construction Company Limited (ABC) for nine years and is currently works as assistant supervisor at The Fishing Hole Road Bridge in Grand Bahama. Making a splash throughout the waterways of Freeport, Treco and his wife Rochelle own and operate Ready To Go Powerboat Adventures. Recognizing the value of education, Mark Turnquest is excited to contribute to a Stronger Bahamas this school year as a music teacher on the island of Andros. 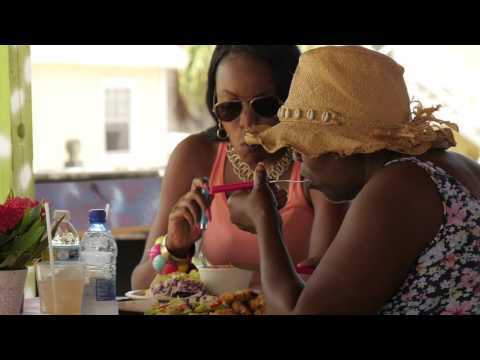 By providing an outlet for local artists to sell their crafts, Fina Christie and Nadine Ramphal are creating a stronger Bahamas where everyone can succeed. Chester Robards is the event coordinator for the Chickcharney Challenge. This local event is a literal reflection of what a Stronger Bahamas embodies. Meet Edwin and Vernell, a married couple who operates a taxi service in Freeport, Grand Bahama. Lance Pinder is one of the shareholders working onboard the M/V First One based in Spanish Wells, Eleuthera. From his immaculate mechanical room to his well-stocked galley, and his sustainable fishing practices, Lance embodies building a Stronger Bahamas. Meet Loretta Fox, a life skills teacher at The Bahamas Down Syndrome and Friends Centre in New Providence. Meet Angel Garvey, a recent welding graduate from The Bahamas Technical and Vocational Institute. For the last six years, Lathario has been a public bus driver, taking pride in safely transporting passengers in one of the cleanest buses in Nassau. Meet Le’Andra Mackey, this year’s recipient of the Tristar Education Optimization Program scholarship; a four-year, 50 thousand dollar scholarship to pursue post-secondary studies at the College of The Bahamas. As the founder and director of the Bel Canto Singers, Eldridge McPhee has been contributing to a modern Bahamas by sharing the fine arts through music and song. Building a Prosperous Bahamas through his artistic abilities, Thomas Saunders creates authentically made Bahamian crafts for visitors to the island of Bimini. Leroy Rolle is a proud Bahamian fisherman from Bimini who understands the importance of conserving the environment. Together, Deborah and Claire are contributing to a Stronger Bahamas by creating jobs and providing delicious goods for Bahamians available at “Da Best Yet” bakery in Marsh Harbour, Abaco. 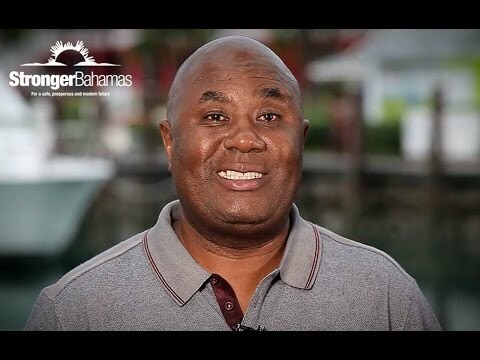 Proudly an active member of We Can, James Culmer believes that by building a strong community, we can build a #StrongerBahamas. 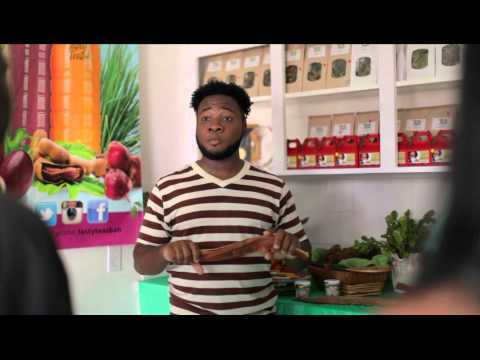 Dyson Knight is an energetic musical entertainer showcasing The Bahamas to the world. His spirit and passion for delivering captivating performances contribute towards a modern and prosperous Bahamas throughout the music industry. The pain of losing a child is heartbreaking but Lavita Thurston remains committed to building a Stronger Bahamas by promoting a message of Christian stewardship and responsible parenting. After retiring from 40 years of teaching, Olivia Turnquest embarked on a new journey in the hospitality industry. As the owner of Ellen’s Inn, she believes that a Stronger Bahamas requires active involvement in one’s community. An active member of his community, Lynton Pinder can be found attending committee meetings for the Fishermen’s Fest, behind the organ on Sundays at his local parish or managing the Spanish Wells Administrative Office. When Chef Culmer reflects back on his accomplishments in his career, he is filled with a sense of pride. He also feels a great sense of responsibility knowing he is a leader in his field, and wants to continue inspiring young Bahamian chefs to work together to build a #StrongerBahamas. Julian Seymour is a Bahamian entrepreneur who sells bags of freshly roasted peanuts on Carmichael Road. Commuters have grown to depend on Julian to provide them with this delicious snack! Lily is the president of both The Grand Bahama Craft Association and The Bahamas National Craft Association. She has been making and selling straw bags for more than a decade. 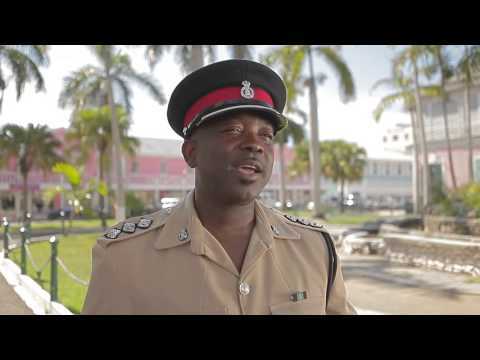 As an officer with the Bain and Grants Town Urban Renewal Centre, Corporal Lightbourne describes his interactions in the community as an important responsibility as he works towards building positive relationships with individuals. Toni is a Bahamian entrepreneur who provides party rentals and creates beautiful floral arrangements for all occasions. She believes that as a small business owner, she is doing her part to create a more #ProsperousBahamas. Assistant Superintendent of Police Rolle is proud to contribute to building a stronger Bahamas through his work as a mentor and role model. “My network is just too strong to sit and watch.” This was the feeling Lia Head had while tracking Hurricane Joaquin in October 2015. “A Stronger Bahamas is one that is filled with opportunity, a piece of mind, and freedom” says Tina. Surrounded by loving family, Tina hopes that her home of Harbour Island will continue to possess these qualities. “A Stronger Bahamas does not depend on other countries to sustain itself,” says Hilary Hilton Gibson, Manager of The Tiki Hut Café on Harbour Island, Eleuthera. Hilary migrated to the island from Nassau for the love of his business – making good food that Bahamians and visitors love. Mrs. Dominique Bullard loves her island of Exuma and encourages her fellow residents to not take the beauty they are surrounded by for granted, and that young persons must create the opportunities they hope for. “Education is the key component to help build our country,” says 16 year old Ameera Poiter, whose dream is to become a translator in the hospitality and tourism industry in The Bahamas. Johnathan Forbes, CEO and co-founder of Tasty Teas believes, “entrepreneurship helps build a prosperous Bahamas”. He knows firsthand the pride one can have from building a business from the ground up. 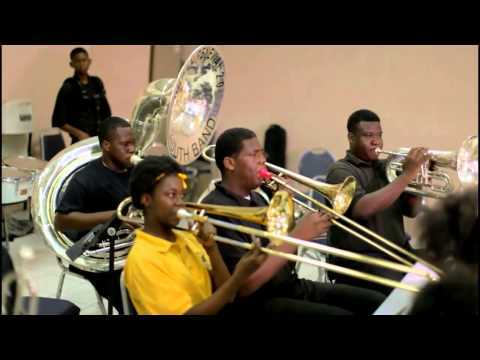 “It is important to reach out to young persons before they get involved in crime,” says Inspector Theodore Campbell, Director of the Urban Renewal Youth Band.